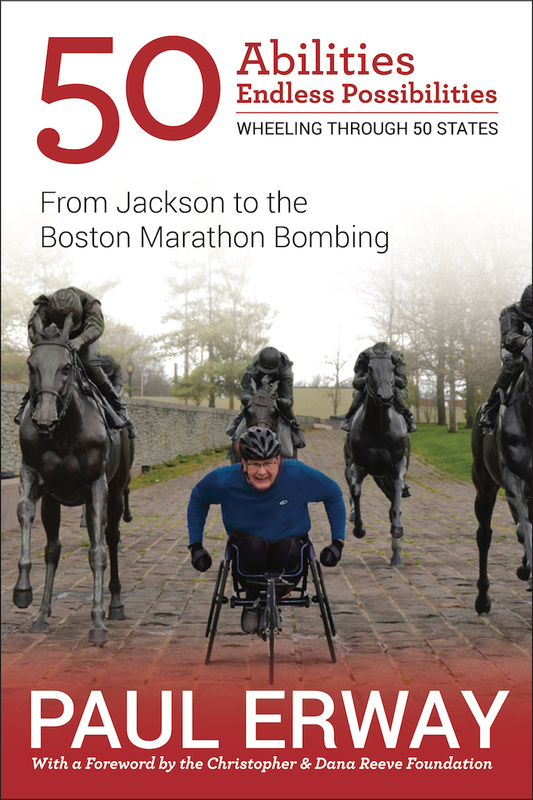 50 Abilities, Unlimited Possibilities ― Wheeling Through 50 States: From Jackson to the Boston Marathon Bombing is a story you’ll never forget. It dares you to believe that we are full of abilities, not disabilities, and that the world presents us with possibilities, not limitations. With the right attitudes and the right goals, anything is possible ― especially when surrounded by the right people (like my family, who treated him immediately after his accident like he was “the same person just with better parking privileges”). With a foreword by the Christopher & Dana Reeve Foundation, the nation’s foremost advocate dedicated to finding treatments and cures for paralysis caused by spinal cord injury (SCI) and other neurological disorders.